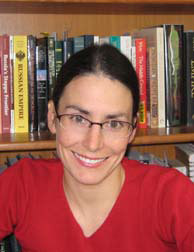 I joined the UNM History department in 2008 as assistant professor of Russian history. My work for a small company in Russia during the 1990's sparked my interest in the history of enterprise in Russia. This, coupled with an interest in borderlands and frontiers, led me to write a dissertation that examines merchants and their practices in Siberia during the seventeenth and early eighteenth centuries. After years of expanding and revising that project, The Merchants of Siberia: Trade in Early Modern Eurasia, was published by Cornell University Press in the spring of 2016. My current projects include: an examination of key early modern texts that produced knowledge about the Russian Empire and its subjects, with a central focus on Nicolaas Witsen; a project exploring Bukharan merchants in a broader Eurasian context; and a study of the life and times of the sixteenth-century traveler Anthony Jenkinson. I teach courses on Rus’, Muscovy, the Russian Empire, Soviet Union, and Russia from the ninth century to the present in a three-semester narrative sequence. I also teach courses on the history of the Russian empire and Russian Environmental History and Russia and “The West”. I am interested in the early modern commerce and how Russia and Eurasia fit into our understanding of the expanding connectivity of the early modern world. Thus, I relish teaching graduate seminars in Early Modern Commerce (Cultures of Exchange) and Eurasian Borderlands. My teaching and research touch all of our department’s thematic concentrations, while my publications to date fit most squarely in our Frontiers & Borderlands and Politics & Economy concentrations. If you are a potential graduate student interested in working with me at UNM, please send me an email. If you are a scholar of Slavic studies interested in reviewing a book for Canadian-American Slavic Studies please email me about your areas of expertise along with a CV and we will see about getting you paired with an appropriate book. The Merchants of Siberia: Trade in Early Modern Eurasia (Ithaca, NY: Cornell University Press, 2016). Seeing Muscovy Anew: Politics–Institutions–Culture. Essays Honoring Nancy Shields Kollmann. Edited by Michael Flier, Valerie Kivelson, Erika Monahan, and Daniel B. Rowland (Bloomington, IN: Slavica, 2017). “Field Notes from an Armchair Ethnographer: Nicolaas Witsen’s Noord en Oost Tartarye,” invited article for special issue of Canadian-American Slavic Studies (in preparation). “Salt Wars and Salted Coffee: At Home with the Filat’evs,” in Seeing Muscovy Anew: Politics–Institutions–Culture. Essays Honoring Nancy Shields Kollmann. Edited by Michael Flier, Valerie Kivelson, Erika Monahan, and Daniel K. Rowland (Bloomington, IN: Slavica, 2017). “Tsardom of Russia, 1547-1721,” in Encyclopedia of Empire, ed. John MacKenzie, 4 Vols. (Wiley-Blackwell Publishers, February 2016). “Imperial Muslims: A History of the Shababin Family,” in Потомки Пророка в Сибири XVI-XXI вв. [Descendants of the Prophet in Siberia, XVI-XXI vv.] by A.K. Bustanov with contributions by S.N. Korusenko and Erika Monahan (forthcoming). “Locating Rhubarb: Early Modernity’s Relevant Obscurity,” in Early Modern Things: Objects and their Histories, 1500–1800, ed. Paula Findlen (London: Routledge, 2013). “Gavril Romanov Nikitin: A Merchant Portrait,” in Russia’s People of Empire: Life Stories from Eurasia, 1500-Present, ed. by Willard Sunderland and Stephen Norris (Bloomington: University of Indiana Press, 2012). “Uraisko Kaibulin: Bukharan in a Borderland,” in Portraits of Old Russia: Imagined Lives of Ordinary People, 1300–1725, ed. by Donald Ostrowski and Marshall T. Poe (Armonk, NY: M.E. Sharpe, 2011). “Virtue and Vice: Controlling Commodities in Early Modern Siberia,” in Tobacco in Russian History and Culture: The Seventeenth Century to the Present, ed. By Matthew P. Romaniello and Tricia Starks (New York: Routledge, 2009).